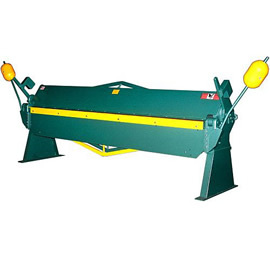 Tin Knocker - Sheet Metal Equipment at affordable prices. 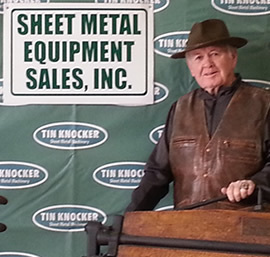 Tin Knocker is a collection of time tested, workhorse machinery reproduced at prices that everyone can afford. Tin Knocker is the one source that can set up an entire fabrication shop - with new, fully warranted machines at used machinery prices. CALL TODAY AND ASK ABOUT OUR FREE FREIGHT SPECIAL UNTIL MAY 30TH ON NEW TIN KNOCKER EQUIPMENT! PLASMA TABLE AND TDP ROLLFORMER AND AIR SHEAR ARE EXCLUDED. Duro Dyne Corporation has evolved into a leading manufacturer of sheet metal accessories and equipment. Duro Dyne's Machinery Division is most noteworthy for the tremendous contribution in the field of insulation fastening - from the first hand held Pinspotter to the FGMH Auto Shift Multi-Head Pinspotter System used by some of the largest contracting shops in the world today. 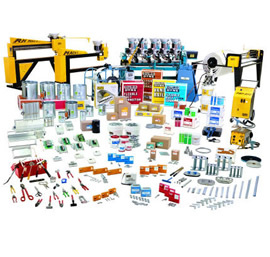 Used Sheet Metal Equipment and Machinery, Sheet Metal Equipment at affordable prices. Check Out The USED EQUIPMENT inventory today! CALL TODAY AND ASK ABOUT OUR SPECIAL ON USED EQUIPMENT! 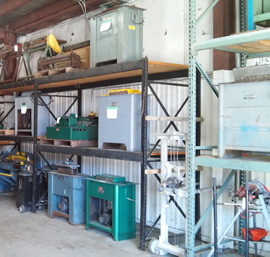 Sheet Metal Equipment Sales, Inc. located in Green Bay Wisconsin is experienced in selling quality new and used sheet metal equipment and machinery. We stock a full line of Tin Knockers Sheet Metal Equipment and Morlin Pittsburgh Lock Hammers. All equipment is stocked in our Green Bay Warehouse, ready for pickup or immediate delivery throughout the USA and Canada.